Running Press Adult, 9780762452385, 160pp. Through her comics, we discover that an armadillo can dress for Halloween, a dinosaur can be a loving parent ... and a rhino can squeeze orange juice! This collection features more than 100 comics, starring her beloved characters in all kinds of funny situations, from celebrating holidays to helping friends. 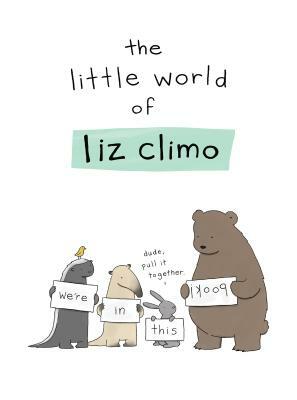 Liz Climo is a character artist for The Simpsons TV series and has worked on The Lebrons and Seth Macfarlane's Cavalcade of Cartoon Comedy. She also the author of Lobster is the Best Medicine and multiple children's books. She lives in Los Angeles.